We continue to roll through pet safety month over at BlogPaws and across the nation (see important tips on dog BBQ safety on our Facebook page). 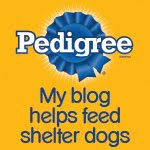 Our friends at BlogPaws are also celebrating their early bird pricing for their 7th Pet Blogging and Social media Conference in Nashville (May 2015). Check it out! Meanwhile, back at the Ohio ranch, July has been a mix of extraordinarily beautiful sunny days and hideously hot and humid weather with severe thunderstorms ripping through every few days. Sound familiar? 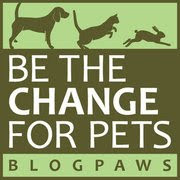 Now how about we all go hoppin' at the BlogPaws Wordless Wednesday Pet Blogger Hop? The weather looks beautiful in the picture! Got to keep those squirrels under control. The rainstorms have finally arrived down here and we are incredibly happy about the cloud cover and rain! Though the humidity can be a bit awful. Glorified rats is what I call those varmints! Squirrels are put on this earth to be chased. So you go right ahead and do your doggest. It's never too hot to chase skwerrils. I LIVE to chase squirrels, you guys!